Power distributed throughout a commercial or industrial application is used for a variety of applications such as heating, cooling, lighting, and motor-driven machinery. Wherever motors are used, they must be controlled. The contactor’s contacts are closed to start the motor and opened to stop the motor. This is accomplished electromechanically using start and stop pushbuttons or other pilot devices wired to control the contactor. The overload relay protects the motor by disconnecting power to the motor when an overload condition exists. Although the overload relay provides protection from overloads, it does not provide short-circuit protection for the wiring supplying power to the motor. For this reason, a circuit breaker or fuses are also used. Typically one motor starter controls one motor. When only a few geographically dispersed AC motors are used, the circuit protection and control components may be located in a panel near the motor. Motor control centers are simply physical groupings of combination starters in one assembly. 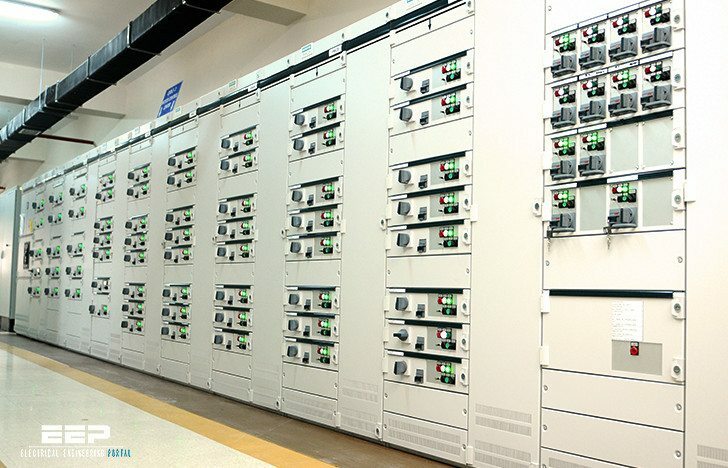 A combination starter is a single enclosure containing the motor starter, fuses or circuit breaker, and a device for disconnecting power. Other devices associated with the motor, such as pushbuttons and indicator lights may also be included. What I understood is that the only purpose of the MCC is to group all the motor starters together in one place to reduce the cost of using multiple cables for each motor starter and that, in the MCC, each box has the starter and protection devices for the motor. Hola cómo están. Muy buena la información, me gustaría que los PDF se pudieran descargar en español. This article is excellent. Thank you Evan! Tanks for the article. It’s a good one. However please I need you to send to me a student project on the design and construction of a 2KVA inverter with a pure sinewave output. Hello, can you guys give us a aproximate cost for a motor control center for a water pumping station? Hi. Could you please send me the 4.3MB Basics of motor control centres. hi, just wondering, for panel schamtic design. should the layout of the schamtic be power section, control wiring section and then a BMS section. or should power supplies and control wiring be shown on the same page ? Hi Can you please forward me the 4.3 MB Basics of Motor Control Centers ,because I am been blocked from our administrator.